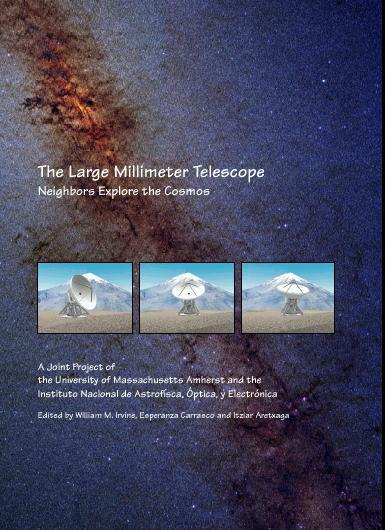 The Large Millimeter Telescope: Neighbors Explore the Cosmos is a book edited by William M. Irvine, Esperanza Carrasco, and Itziar Aretxaga and published jointly by the Five College Radio Astronomy Observatory at the University of Massachusetts at Amherst and the Instituto Nacional de Astrofísica, Óptica y Electrónica (INAOE). The pdf format sections of the English version of the book are found below by the individual chapters. The Spanish version of the book is found here. © All Materials Copyright The Large Millimeter Telescope Project.